Review was worth a read !! 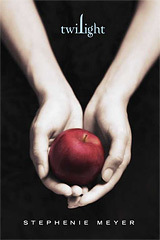 Stephenie Meyer excels in bring out the narration in such a way that you do not need conversations at all. Well half of the book actually is full of looking at her-looking at him...blah blah.. But the action was exhilarating. Yeah, i loved the movie too... the first one only. The rest sucked. And the best scene in the movie was when they played baseball... Hell yeah..
yes ! I love the book .. except the 3rd part which was kind of ok ! Full points to Stephenie for the story !! I just loved the review! You put it down so well especially that when you read it you imagine yourself to be bella, experiencing and feeling like its happening to you! Doesnt every girl wish for that fierce and passionate love of Edward ?? I totally love your review. It reminded me, why I had once liked these Series. :D Unfortunately, the movie (I HATE Kristin for portraying Bella as a crying moping teen, which is so not in the books!) ruined it for me.